Winter sports insurance is usually purchased in one of two ways, unless you have it tacked onto an annual insurance policy. You will usually either purchase it as an option on top of a traditional single trip insurance policy or you’ll take out a separate specialist winter sports insurance policy. It’s really important that if you purchase it as an ‘add on’ that it covers all the range of activities that you plan on doing. If you’re planning on participating in other hazardous winter sports in addition to skiing, you should first of all check that your specific activity is covered in your insurance policy. The main difference between a basic winter sports insurance policy and a general holiday travel policy is that it will cover you in the event that you get injured, fall ill or have an accident whilst engaged in winter sports pursuits. This will also include getting you off the mountain and to a doctor’s surgery or to hospital where you can be treated. It will also insure you against theft of your equipment. Where you have to be careful, however, is in checking the policy to see if it covers other aspects of your holiday that might be important to you and to what extent other winter sports activities you may wish to participate in are also covered. Travel insurance companies are very competitive and especially with regard to winter sports insurance where the potential for claims is even greater due to the potentially hazardous nature of your activities. So, before simply plumping for the cheapest deal, here are some things you need to check out in the small print. This list is not exhaustive so it’s important that you check the policy to see just what activities are and are not covered. Don’t simply assume you are covered. Most winter sport insurance policies will cover you for activities you’re planning on doing off-piste but once again, it’s important to check. Also make sure you read the small print carefully with regard to your ski equipment. Some insurers might only cover you for the cost of the skis that you personally own whilst others will also cover you for the theft or loss of hired equipment. 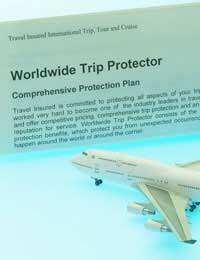 These are terms that you’re likely to see contained in winter sport insurance travel policies. It is insurance to cover the cost of getting you off the mountain in the event of an injury, illness or accident, either on or off piste. By showing your card to the pisteurs, they will then take the policy number down and drop you off at the surgery or hospital. However, this is not a full insurance policy and should only be considered as a top up designed to combine with your full winter sports policy. It’s also worth checking if your policy covers search and rescue costs and in what circumstances you’ll be covered in regard to that. Also, some insurers will cover you if you get to your resort and there’s no snow whilst others won’t so that’s worth considering too. In general, the important thing to remember is not to let the cost of insurance dictate your purchasing decision. So many things can and do often go wrong on winter sports holidays and the most important aspect is in ensuring that you are covered for all eventualities as it can be a very expensive business if you are not properly covered. What Insurance Precautions Do I Need for Ice Skating? Do Sledging, Toboganning and Snow Mobiling Need Special Insurance? Do you Need Specific Insurance for Ski-ing or SnowBoarding?